It is time, finally, for the new OnePlus 6T! As usual, I'm here to talk with you about the latest wallpapers I created for the new device, and share them with you in up to 4K resolution! I'm very excited to tell you about the new wallpapers made for the new OnePlus 5 phone, announced today. One of the greatest minds in music has died. R.I.P. David Bowie. He was always a great inspiration for me, I spent hours listening to Davids music while making my art. 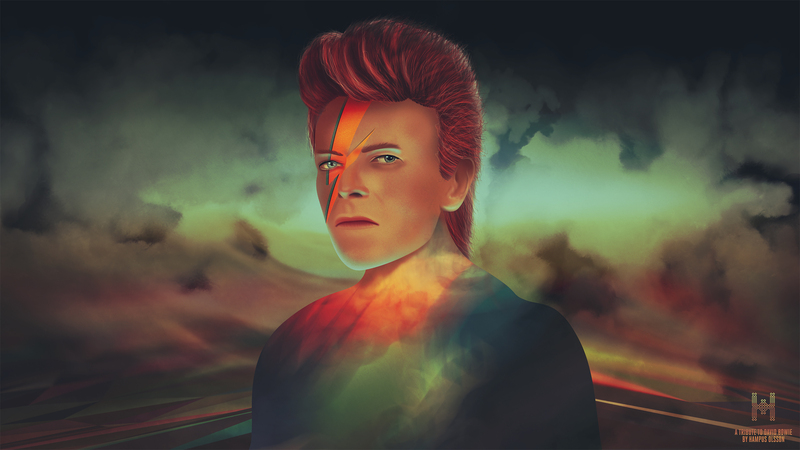 This is a tribute to David, a new artwork featuring Bowie with one of his iconic looks mixed with my art style. I hope you guys like it and maybe even use it as your wallpaper for some time to remember him. The artwork is made completely in Photoshop using photos of David only for reference. Everything is painted with my Wacom Intuos Pro. It's the first time I'm making hair in this way and I'm very happy with the result. I made this artwork in about a day, while listening to David Bowie on Spotify. If you like it, please share it with your friends! Thank you!